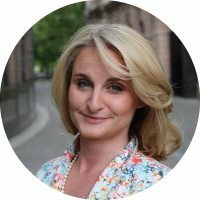 Christina Kehl co-founded SWISS FINANCE STARTUPS (SFS), Switzerland’s first association of fintech startups, in 2014 while she was COO at Knip AG. Knip is the first mobile-based insurance broker worldwide which she co-founded in Zurich in 2013. After a successful completion of a 15 million USD investment round at Knip in 2015, Christina was able to shift her focus to the fintech work at SFS. There she actively promotes the development of the Swiss fintech industry by high level financial industry and political advocacy. As a startup founder and fintech expert, Christina is a regularly featured in the media as well as invited to speak at panel discussions, forums and conferences. Christina was born in Germany, she studied law in Würzburg, Helsinki and Oxford. She founded her first company at the age of 19 and helped build several startups in Berlin and London before coming to Zurich in 2013. Out of necessity. The whole insurance industry is designed by and for big incumbents. I as a customer felt neglected and patronized at the same time. Digital technology provides us with the opportunity to put the customer first, to simplify the whole insurance process and to make it more transparent. Thus, I co-founded Knip, the world’s first mobile-first insurance broker. Frankly, insurtech itself is to me just a means to an end. What is actually important is the cultural and social change that is going on right now. We are at the beginning of a totally new era, one the world has never seen before. Our work environment, our private life and our overall society is changing so radically and rapidly that we can’t say what the world will look like in ten years from now. I am inspired by people like Christine Lagarde, Justin Trudeau, Reinhold Messner or Elon Musk. They inspire me with what they do and achieve but I don’t get influenced by anybody’s tweets. I don´t believe in the recent development of “influencers” on social and business media channels. True entrepreneurs and thought leaders are an inspiration to me, people with the ambition to change the world (or an industry) for the better, creating real jobs and value. Retweeting and posting doesn’t make you an influencer. Thinking of the insurance industry I am sure that blockchain technology opens up great opportunities to fully digitize. We now have the potential to build a complete new kind of insurance company. Another major topic will be cyber security – not only in insurtech but basically in all industries. We are facing so many new opportunities and just as many new risks and challenges. Furthermore, I think we haven’t nearly tapped the potential of Machine Learning and Artificial Intelligence. Besides technological developments, we will need to develop an understanding of digital human rights. There is no general answer to this question. My time is very limited, so I have to prioritize quite rigorously. It always depends on the particular project and timeframe.